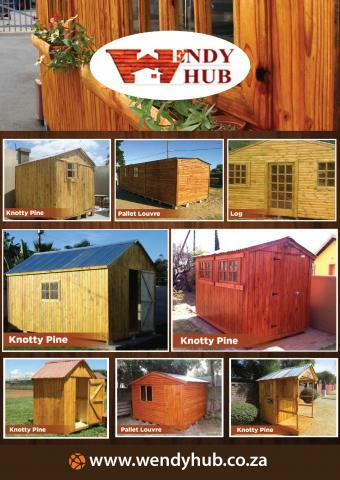 Wendy Hub is a Gauteng-based company that prides in unique and affordable wendy house creations. 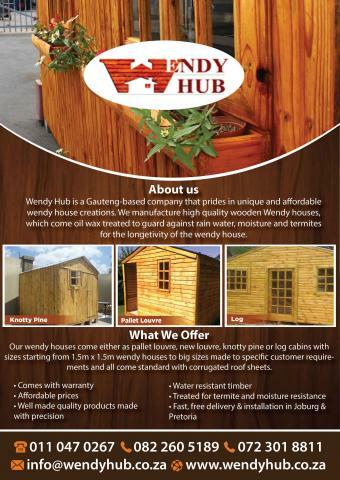 We manufacture high quality wooden Wendy houses, which come oil wax treated to guard against rain water, moisture and termites for the longetivity of the wendy house. Our Wendy houses come either as pallet louvre, new louvre, knotty pine or log cabins with sizes starting from 1.5m x 1.5m wendy houses to big sizes made to specific customer requirements and all come standard with corrugated roof sheets.